It’s almost time to dive into Spring18, and the shows are lining up! Here’s another to put on the calendar. July 10th – Missoula, MT. If you are a retailer in MT or ID, this is a great opportunity to get spring18 line showings off your plate and back to enjoying summer! 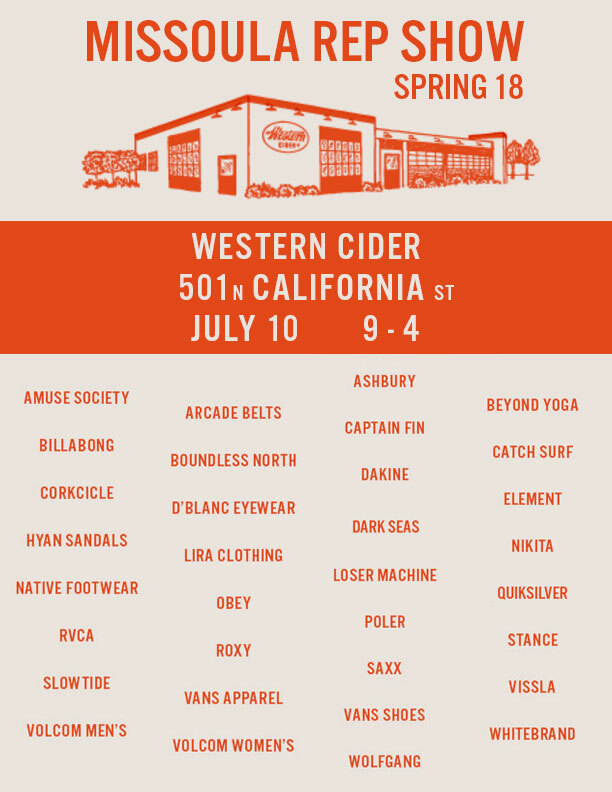 Come down and check out some great brands while enjoying a tasty cider and friendly conversation.